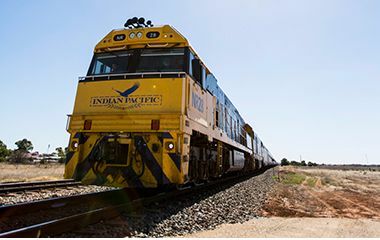 Allegro finalised its acquisition of iconic Australian railway operator Great Southern Rail (GSR) from a subsidiary of Serco Group Plc (Serco) on May 31, 2015. The acquisition was funded with 100% equity and Allegro partnered with GSR’s existing management team on the transaction. Serco, listed on the London Stock Exchange, signalled its intention to exit its ownership of GSR having identified it as a non-core asset. This led to 18-months of engagement during which Allegro structured an acquisition proposal that met Serco’s needs and allowed Allegro to secure an iconic Australian tourism asset at an attractive entry price, in a sector with significant upside. 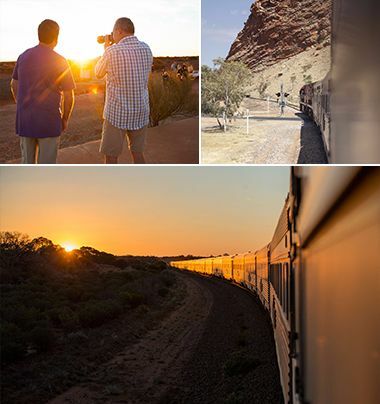 Great Southern Rail owns and operates the luxury trans-continental passenger rail services, The Ghan, The Indian Pacific and The Overland. Serco, an outsourced provider of public services, acquired GSR in 1999, which at the time was considered an ex-government owned transport business providing affordable interstate travel options. However, GSR suffered a major disruption to its business model with the arrival of low cost airlines and fares. Transport passenger numbers dropped rapidly, from more than 140,000 in 2005 to 40,000 by 2015. At the time, GSR also received significant State and Federal government subsidies but with declining passenger numbers it became untenable for governments to continue this support, and it was eventually withdrawn shortly after Allegro acquired the business. An outcome that was anticipated and planned for. The investment thesis behind the acquisition of GSR was to transform a low value transport operator into a high value experiential tourism business. To assist with this turnaround, we leveraged our experience in the domestic tourism industry gained through our investment in holiday parks operator Discovery Parks. This background, coupled with a highly regarded and motivated GSR management team, helped fast-track the turnaround process. Upon acquisition, the first step in the transformation program was to create a sustainable stand-alone business, completely separate from Serco and no longer reliant on government funding to underpin operations. Once this was bedded down, the transformation to luxury rail cruiser began. A new vision was developed focusing on providing exceptional experiential travel experiences for the customer. This involved discontinuing the transport service offering and developing the luxury offering. The business invested close to $10 million to improve the carriages and facilities. A broader product offering with richer experiences was developed, including longer tours, all-inclusive offerings and unique off-train experiences. New staff were hired and a training program for existing employees was implemented.